Few groups have been maligned as much as “management.” In America anyway, trash talking the boss is common enough to be a drinking game. I’m sure everyone has their own horror story and if you came to me with yours, I would probably demand the reinstatement of public hangings. It’s so bad that companies like Zappos are experimenting with the elimination of bosses all together (I’m looking forward to how that turns out). But before we collectively leap off that cliff, let’s consider a few things from the boss’s side of the desk. 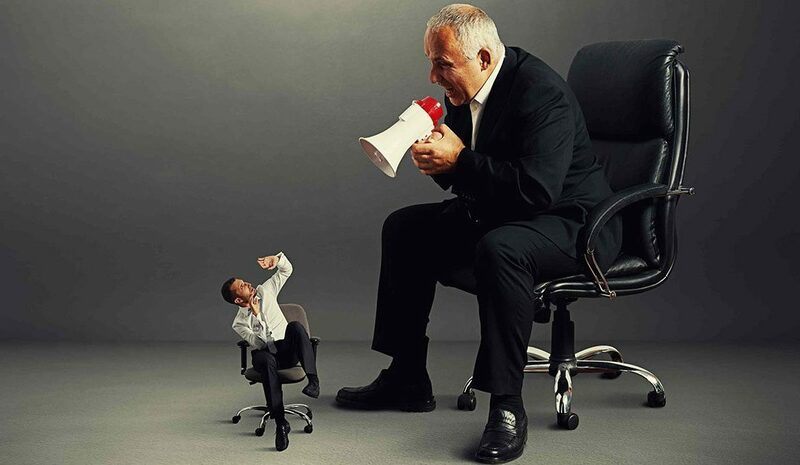 Organizations tend to make being the boss exponentially more difficult than it needs to be. It’s a given that you’ll be available 24/7/365 for anything that might bubble it’s way to the surface and threaten smooth operation. And to top things off, instead of depending on your own (probably sharp) wits to get stuff done, as a “boss” you’re expected to see the workplace through the eyes of your people, understand what motivates them (beyond the unemployment line), identify their unique strengths, align their activities with everything that matters to the organization, and know how and when to bypass dysfunction and unleash the productive beast in all of them. I believe toxic bosses are made and not born. Most came from the ranks they now oversee. They were a rockstar in their respective arena and some well-intentioned higher-up believed they could get the rest of their (now former) teammates to, at least, a good “bar-band” status. Like we’ve said before, a great engine mechanic usually doesn’t know how to fly the plane; “doing” and “managing” are two distinct skill sets. In most cases the problem boils down to two things: Training and focus. And by training, I don’t mean the “endure-a-class-now-you’re-accountable” kind (although that’s better than what most newly-minted supervisors get). One exposure does not a skill make! The American Management Association estimates that the average supervisor is in that role for 10 years before they receive any formal supervisory training! Yeah, you read that right. The second issue that creates a crappy boss is a lack of clarity. We should start with the understanding that we can’t manage people (and never could). We can only manage the work. If a boss is clueless about what “finished” looks like and how it’s measured, they tend to become junior psychology professors and try to manipulate their minions through fear or the latest motivational theory. That turns into a soul-crushing waste of time and tends to backfire anyway. The take-away? If you’re responsible for bosses, give them a measurable objective and the tools to align resources and execute. Without those two fundamentals, you’re helping to create another toxic boss. Let’s agree to knock that off, shall we?